Capabilities - TAPESOUTH - Gainesville, Fl. 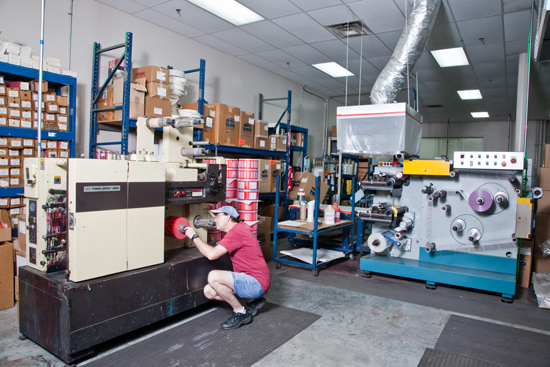 TAPESOUTH has over 40 years of technical and engineering expertise to assist in the identification and manufacture of custom tapes, labels and die cut parts for a wide variety of applications. In today’s climate, security is more important than ever. 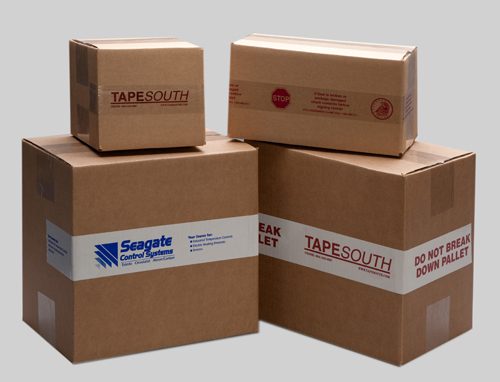 We provide high quality printed SECURITY AND LOGO TAPE to identify your product and protect your food, cosmetics, airplane parts, and other valuable commodities from tampering, theft and improper handling. 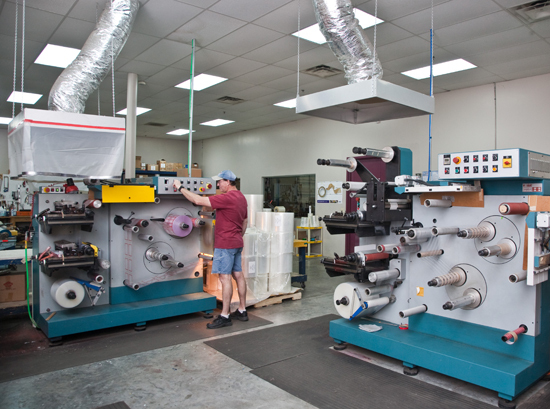 Lock-in printing of your message prevents your print from being smeared or scratched off. 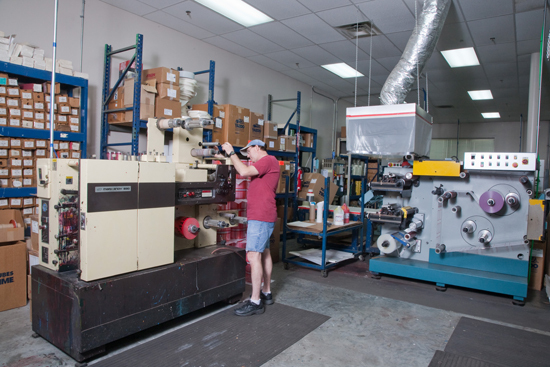 TAPESOUTH can slit and rewind all types of electrical and industrial tapes in standard and custom widths ranging from 1/16th inch to 32 inches. You can order the width, length and core size that works best for your application in the quantity that is most cost efficient. 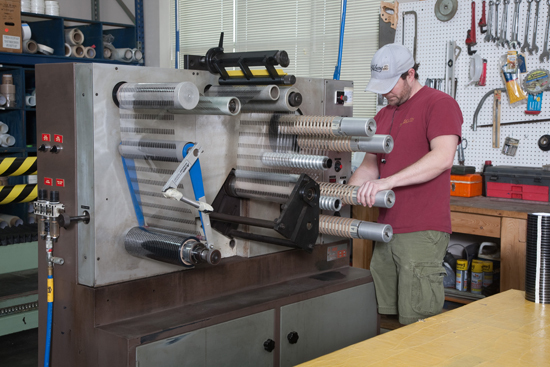 TAPESOUTH will custom design die cuts to your exact specifications for pressure sensitive and non-pressure sensitive materials in rolls, sheets, or individual pieces. Web lamination can be done using many types of material. Substrates can include such thin films as Kapton, PTFE Fluorocarbon, Mylar, Tedlar, and Teflon paper. Lamination can also be accomplished using coated cloths, Nomex and other insulators.